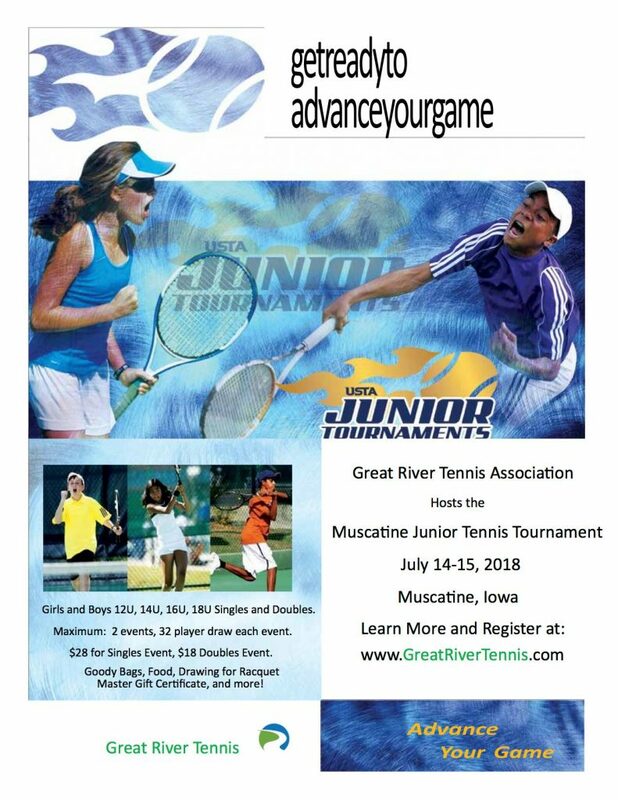 Description: The Junior Tennis Tournament is scheduled for July 14-15, 2018. The Boys will be playing at the MHS High School Courts and the Girls will be competing at the Weed Park Courts. Attached is a flyer to spread the word to for players, students, organization, and parents, about this tennis playing opportunity, AS WELL AS, asking for help to clean up the MHS Tennis courts on Wednesday, July 11th to remove all the pine needle debris and litter, in preparation of the tournament starting on July 14th! If you have any questions, please don’t hesitate to contact Cindy Klebe at 563-506-5901 or ​cindyrtklebe@msn.com​.